Josefina Robles Ochoa known as "Fina" & "Josie", age 94, died peacefully at home on August 31, 2018, after suffering a stroke and pneumonia. She was surrounded by her children, sisters, grandchildren and great grandchildren. Fina was born in Scottsdale, AZ on May 17, 1924. She was preceded in death by her husband Guillermo "Memo" in 1995, Infant Bernardo, Blanca Margarita "Margie" in 1958, and Miguel Ochoa "Mickey" in 2001. Josie retired from Scottsdale Memorial Hospital after 43 years. In her later years Josie struggled with dementia and spent her last years at home being cared for by her daughter Patty and 8 great grandchildren. She loved to sing and play with her babies and always had her dog Mitzi by her side. The Ochoa family is a 6th generation Arizona family. They originated in Scottsdale in the mid-1920s, when Scottsdale was a small farming community. 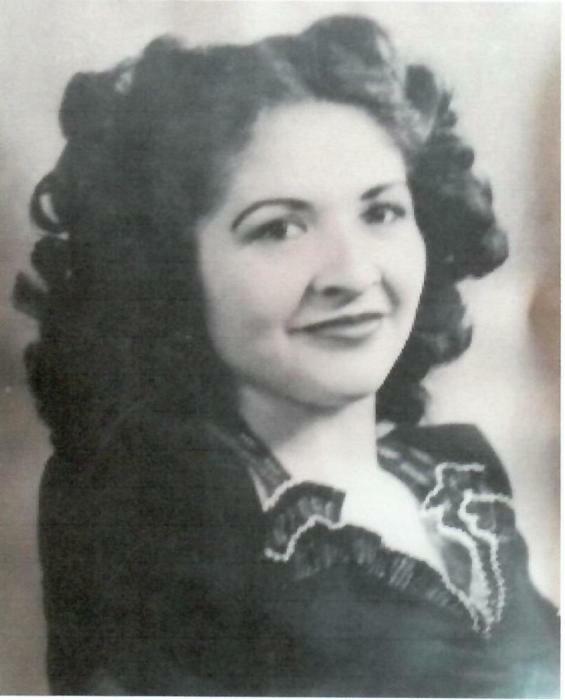 Josefina leaves behind her Daughters: Delores Avalos, Frances Valdez, Angie Keatts, Ramona Ochoa and Patricia Ochoa, Sons: Joe Diaz, Guillermo Ochoa Jr, and Gilbert Ochoa, Sisters: Rosie Macias, Teresa Rivera, Mary Robles, and Virginia Hernandez, who reside in California, and 32 Grandchildren, 85 Great Grandchildren, and 51 Great-Great Grandchildren. Services for Josefina will held be at Messenger Mortuary, 7601 E. Indian School Road, Scottsdale from 4 p.m. to 8 p.m. on Saturday, September 8, 2018.